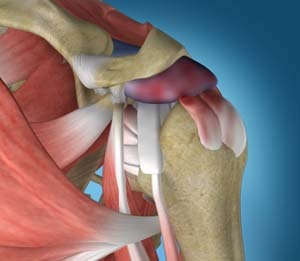 Shoulder impingement is the condition of inflammation of the tendons of the shoulder joint. It is one of the most common causes of pain in the adult shoulder. The shoulder is a 'ball-and-socket' joint. A ‘ball' at the top of the upper arm bone, humerus, fits neatly into a 'socket', called the glenoid, which is part of the shoulder blade or scapula. Shoulder impingement is also called as swimmer's shoulder, tennis shoulder, or rotator cuff tendinitis. Shoulder impingement can be treated with rest, ice packs, anti-inflammatory drugs, and avoiding activities involving the shoulder. Physiotherapy may be advised to strengthen the muscles and steroid injections may be given if pain persists.